The tour of the Sacred Valley of the Incas is an essential part of its exploration for what was the territory of the Incas in Peru. In fact, while touring the valley, you will enjoy breathtaking views and find many archaeological sites; Although it is not clearly a touristic tour, you can not miss the visit to the fascinating and ancient salt mines, known as the Salineras of Maras; Are thousands of small pools dug in the side of a mountain; These are filled with salt water that evaporates leaving the salt behind. In the distance and depending on the time of day, the thousands of white terraces of the Salinas de Maras, show incredible shades that have been captured by the best lenses of photograph lovers around the world. Where are the Salineras of Maras? 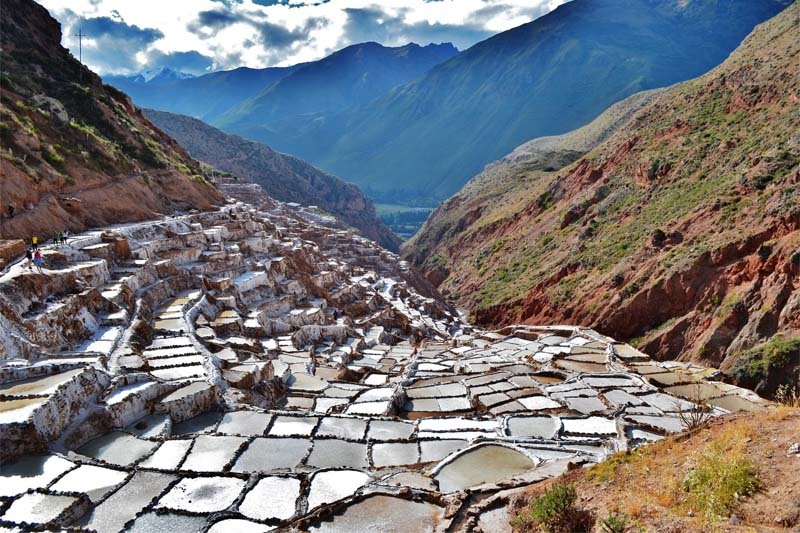 The thousands of shallow pools filled with salt water are excavated on the slope of the Qaqawiñay Mountain at 3,380 m. Of height, to 46 km of the City of Cusco, in the Valley of the Urubamba. The 3,000 pools are fed by a hypersaline underground spring that originated 110 million years ago during the formation of the mountains of the Andes (Orogenia Andina). In the Salinas de Maras you can buy “natural salt of pink color“; It gets its beautiful color from the natural elements of spring water, including magnesium, calcium, potassium and silicon; And in case you did not know, there are only 4 places in the world from where you can extract pink salt and Maras is one of them. Another interesting thing about the Maras Salineras is that you can pick up your own handful of salt or buy a bag, jar or can in the Maras gift shop. How do Maras Salineras work? After the thousands of shallow pools are filled with salt water (hot) from the subsoil, the mangrove is blocked for a few days; The intense sun causes the water to evaporate, leaving crystals of pure salt that is then “harvested” with a piece of wood with which is scraped salt, which is placed in small baskets to remove the excess water. At the end of those days, the water passage is reopened and the process is repeated. 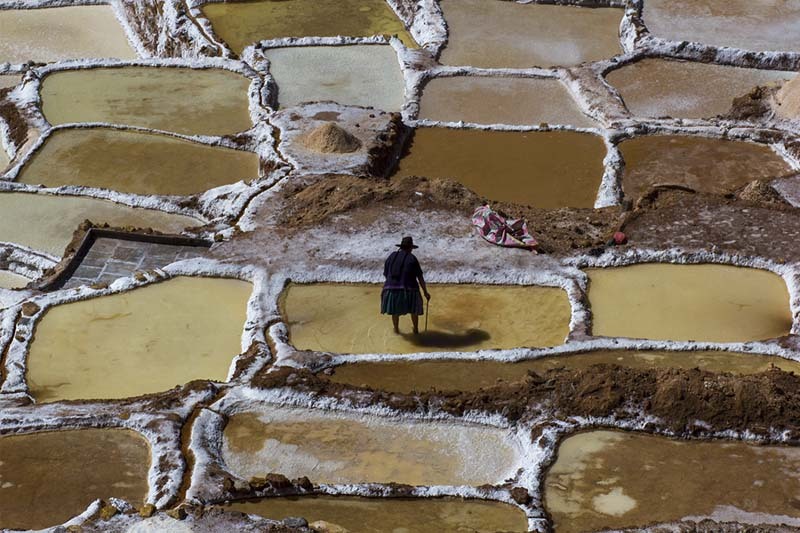 Do you pay to enter the salt flats of Maras?